Is The Body Shop’s new parent company profiting from animal testing? After hundreds of Naturewatch Foundation supporters demanded transparency from The Body Shop’s new parent company, they have finally come to the table. We are now working with them to become an endorsed cruelty-free company. Click here to read our full statement. After months of avoiding questions about their animal testing policy, The Body Shop’s new owner – Natura Cosméticos – has come under fire from Naturewatch Foundation and cruelty-free consumers. Natura is Brazil’s biggest cosmetics company, with a predicted annual turnover of £2.7 billion after its acquisition of The Body Shop. Natura also recently took ownership of Australian beauty brand, Aesop. There is no doubt Natura is aiming to be the world leader in ethical beauty. But when it comes to ending animal testing, animal welfare advocates question whether they are putting their money where their mouth is. When L'Oréal sold The Body Shop to Natura, our supporters were relieved to learn this might mean purchases from The Body Shop would no longer be used to fund the animal testing activities of a cruel parent company. We reached out to Natura as soon as possible to see if they would meet Naturewatch Foundation’s criteria for a genuinely cruelty-free company, but were surprised when they refused to answer any questions. This immediately raised a red flag. If Natura has a comprehensive cruelty-free policy, surely they would be shouting it from the rooftops? But instead the company hides behind meaningless statements and claims of being ‘cruelty-free’ without showing any evidence of it. 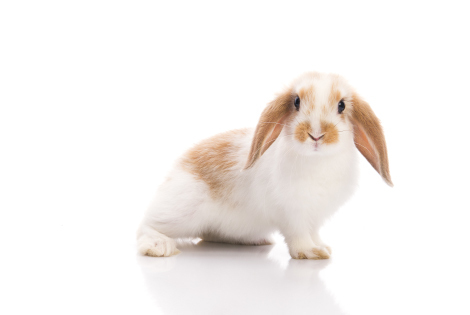 We would be pleased to know if Natura truly wants to help end animal testing by having a strong cruelty-free policy. If they don’t have one yet, we are eager to work with them to develop it. To be classed as a cruelty-free brand, leading independent endorsement schemes, such as Naturewatch Foundation’s Compassionate Shopping Guide, insist companies adopt a fixed cut-off date animal testing policy. A fixed cut-off date policy is the benchmark for genuinely cruelty-free cosmetics, toiletries and household products worldwide. Hundreds of brands around the world have adopted one in order to meet consumer expectations, from major companies such as Tesco and Marks & Spencer, through to small independent brands. Naturewatch Foundation maintains that Natura, as a large company that claims it takes ethics and sustainability seriously, could surely adopt one as well. Naturewatch Foundation is calling on Natura to be honest and transparent about its animal testing policy, so cruelty-free consumers can make informed choices. As Brazil’s biggest cosmetic company, Natura should be leading the way towards a world where animal testing for cosmetic purposes is relegated to history. Until the company has a strong cruelty-free policy in place, Naturewatch Foundation is calling for a boycott of Natura products and all subsidiary brands, including Aesop and The Body Shop. Learn More: What is Natura hiding?